Best season to travel to Ravenna, Italy and how Ravenna’s weather can influence your vacation? 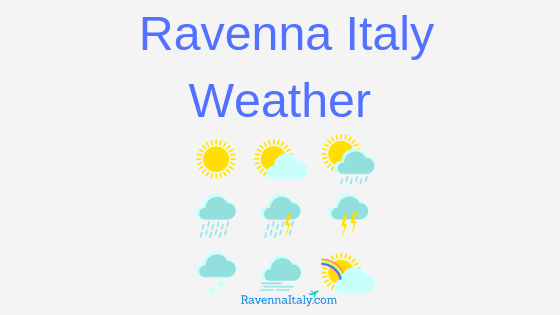 If you’re not a fan of humidity and looking for the driest time of the year to visit Ravenna, then January or July are your best bets as statistics have shown that those two months have the lowest chance of experiencing precipitation. The winter seasons from November to January experience some of highest humidity while June and July have some of the lowest. Not everybody has the same temperament for crowds. Some people revel in them while others wish for a quieter, calmer atmosphere. There is usually an overabundance of visitors during the months of April and May due to the mild climate of spring. If Spring is too crowded for you and July too hot, you always have early autumn to look forward too. A relatively serene time of the year for planning a trip; maybe a honeymoon. Although October is prone to heavy showers of rainfall that may become a nuisance and potentially limit your movement. Visiting in less crowded months allow you to book hotels at much cheaper prices as customers are scarce for those establishments at that time. In summer, however, there is a lot more you can do with your time. The city is littered with historic sites that can occupy you for a long time. The architecture and artwork are on par with cities like Florence and Rome. Luckily Ravenna’s weather is not bad at all during the summer in general. If you’re an aspiring traveler of tourist, it is likely that you have added Italy to your bucket list. And you might have heard of the artistic appeal of Florence, the canal city; Venice or the sprawling architectural brilliance of Rome but other than that you may not know of much more. There is a lot more to Italy than that. Ravenna currently serves as the Capital City of the Ravenna Province of Northern Italy. It has a rich, colorful and somewhat bloody history to speak of from the time when it was the Capital of the Western Roman Empire until its fateful collapse. Ravenna is home to some of the best architectural masterpieces from the Roman era like the Basilica of San Vitale and Mausoleum of Theoderic. A city vibrating with colorful mosaic art and connected to the Adriatic Sea via the Candiano Canal. If you’re a fan of classical music and opera, do not miss out on the long-running Ravenna festival held each summer in June and July. The weather in Ravenna, Italy, may get very hot in midsummer but it’s never too extreme unless you have a very low heat tolerance.